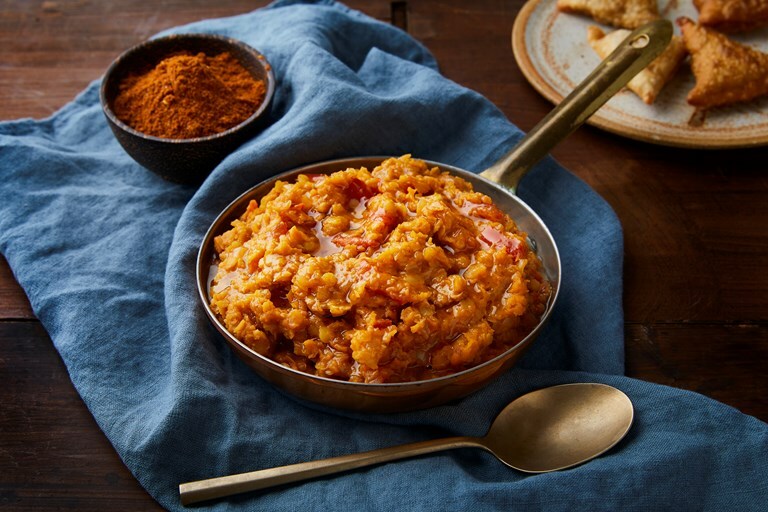 This richly spiced Ethiopian lentil stew recipe, known locally as misir wot, is packed with flavour from berbere and niter kibbeh, a type of spiced butter found in Ethiopian cuisine. A delicious and simple midweek meal for spice lovers. The star of this dish is a wonderfully spiced butter niter kibbeh, infused with garlic, ginger and spices. This recipe makes more than you'd need for the stew, but it keeps in the fridge and is very versatile – try as a filling in this East African sambusa recipe.